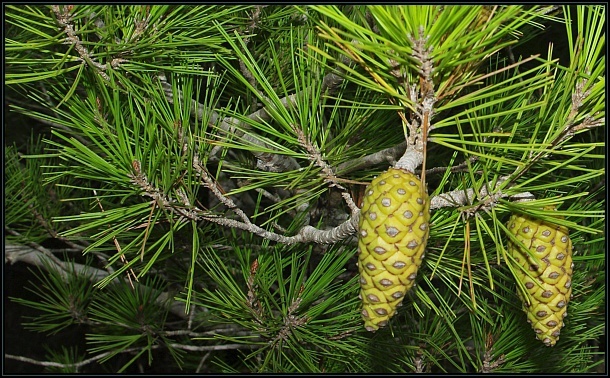 The Aleppo Pine (Pinus halepensis) is a native Mediterranean pine. 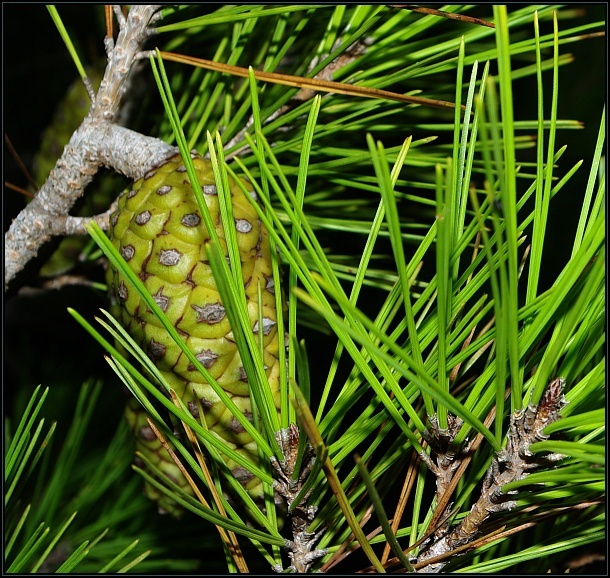 It is a medium sized tree with very thin leaves and distinctive cones. 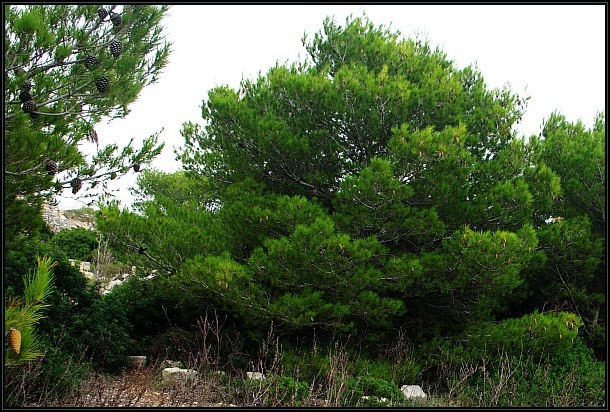 It is common in many areas and is the only member of the Pinaceae to grow in the Maltese Islands. It is often planted as an ornamental tree.